French photographer Jean-Pierre Leloir (1931-2010 ) captured some of the most iconic images of jazz life in France during the 1950s and 1960s. This collection compiles some of the best jazz albums ever in limited editions that showcase candid and rarely seen photos taken by Leloir of some of the perennial names of the genre. 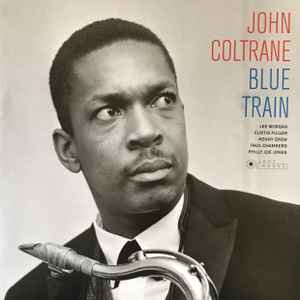 Originally issued as Blue Train (Blue Note BLP-1577). On the cover: John Coltrane at the Olympia Theatre, Paris, France, June 18, 1961.